ABMP is here every step of your career! Free resources to get you through school. Online test prep to help you pass the MBLEx. Student membership to secure your success. 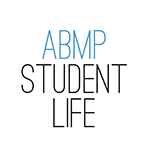 Join ABMP Student Life for FREE and we’ll guide you through graduation. Yes, massage students have been sued! ABMP's comprehensive occurrence form insurance coverage protects you from liability claims related to hands-on work in the classroom, school student clinic, and for all school-sanctioned activities. Get more info about liability insurance for students. Access online study aids, graphic organizational forms, and time-management tools, all customized to fit the unique needs of massage and bodywork students. View free online seminars and videos to enhance the hands-on skills you learn in your classroom with information and techniques from the biggest names in the massage profession. Many students struggle with test anxiety but with the right tools and preparation, you can ace exams. 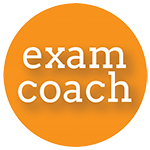 ABMP offers ABMP Exam Coach to help you reduce test stress and get the grade. In business and career classes, instructors may ask you to develop a business portfolio. We have everything you need including a free website and professional email, business cards, resume and cover letter samples, client brochures and forms, graphic art and photos, newsletters, and more. Massage & Bodywork magazine, ABMP's award-winning publication, is a bimonthly print and digital magazine that links you to the greater massage profession. You also receive a student newsletter and can connect with ABMP and other members through ABMP's social media sites and online forums. As a member, you receive valuable discounts on a variety of goods and services, including massage tables and supplies, cell phone service, and much more. When you finish school and upgrade to our Certified, Professional, or Practitioner level, you get a special first-year rate to help you transition into your professional life as a therapist. Helpful information like technique videos, study guides and tips, and much more delivered right to your in-box. An ABMP.com account with access to our ABMP Website Builder and other resources to get you ready for your career. Special first-year ABMP Professional membership pricing of just $75! 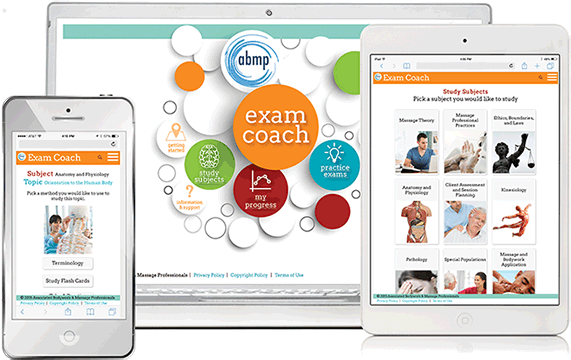 ABMP members get access to 100+ on-demand webinars from the biggest names in massage and bodywork, all with free CE hours available! Not an ABMP member? Try one of our webinars on us.